The father of a missing University of Iowa student is calling on people who may have information about her whereabouts to speak up. 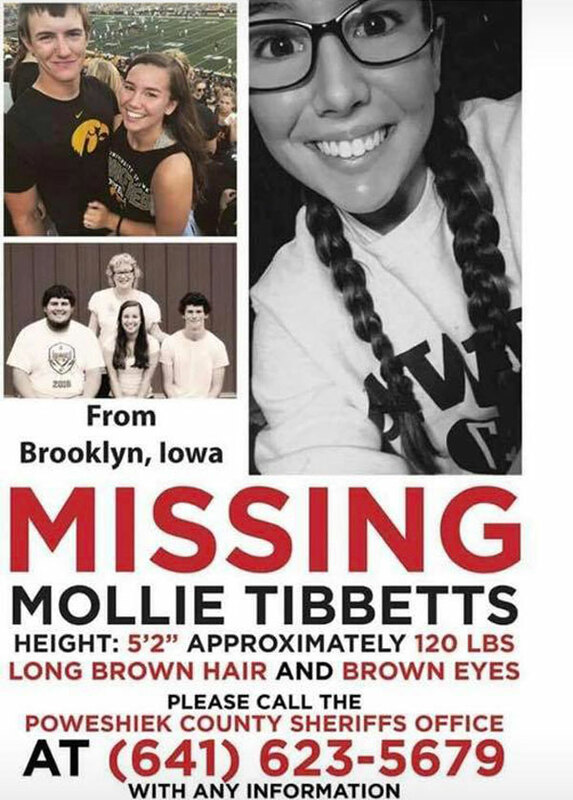 Rob Tibbetts, in an interview with ABC-TV’s “Good Morning America,” said he believes someone knows what happened to his daughter, Mollie Tibbets, who disappeared on July 18 in their hometown of Brooklyn in Poweshiek County. 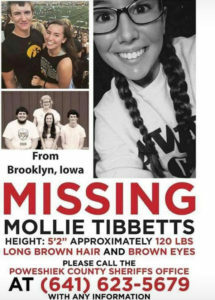 “We can get Mollie back, we just have to have somebody call,” Tibbetts said. His 20-year-old daughter went missing sometime during or after an evening jog. Mollie had been dog-sitting at the home of her boyfriend, Dalton Jack, who was in Dubuque for work. Rob Tibbetts said the public should forget about consoling him and his family and focus on bringing his daughter home safe. “It doesn’t matter what we’re going through, we just need people to think — because somebody knows something and they don’t even know it’s important,” Tibbetts said. Investigators have ruled out Tibbetts’ boyfriend and his brothers as suspects. The FBI, state and local authorities have searched several places around Brooklyn, including some hog farms, but have found no signs of Tibbetts. Anyone with information about the case is asked to call the Poweshiek County Sheriff’s office at 641-623-5679 or email: tips@poweshiekcosheriff.com. There is a $2,000 reward for information leading to an arrest and conviction of anyone who may’ve been involved in the possible abduction of Mollie Tibbetts. The T.I.P Rural Electric Cooperative, of Brooklyn, has offered an additional $1,000 dollars to Crimes Stoppers of Central Iowa $1,000 dollar standing reward.